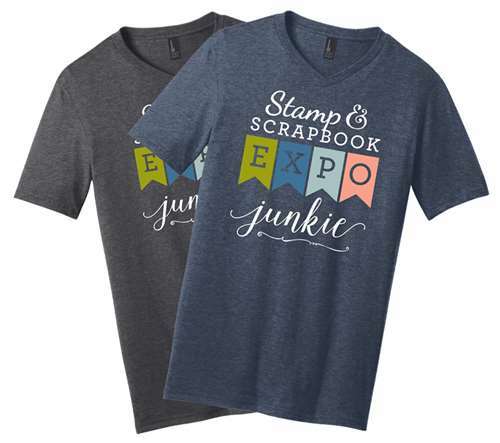 Your experience wouldn't be complete without our Stamp & Scrapbook Expo themed merchandise! From ultra soft t-shirts to a fashionable tote...we have something for everyone! Items will be available for purchase at the show!!! Make a statement with our limited edition commemorative buttons. How many shows will you attend? Show your state spirit with our EXPO location buttons! 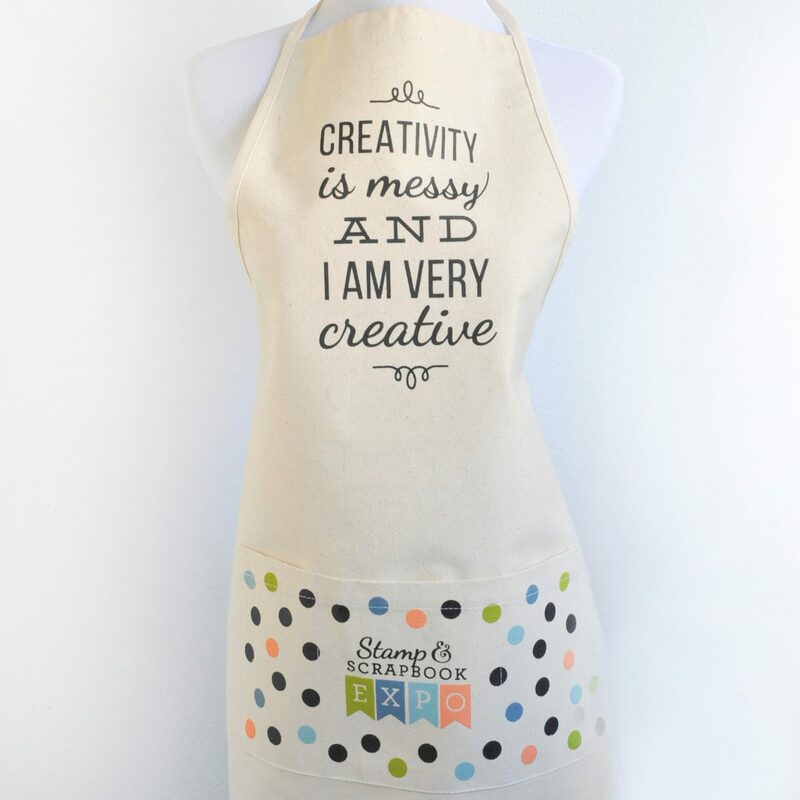 Get crafty in this canvas apron. One size fits all. Spot clean only. Relax in comfort with our Ultra Soft V-Neck Junkie T-Shirt! Fabric - 50/50 poly/cotton with tearaway tag. Unisex Sizing. 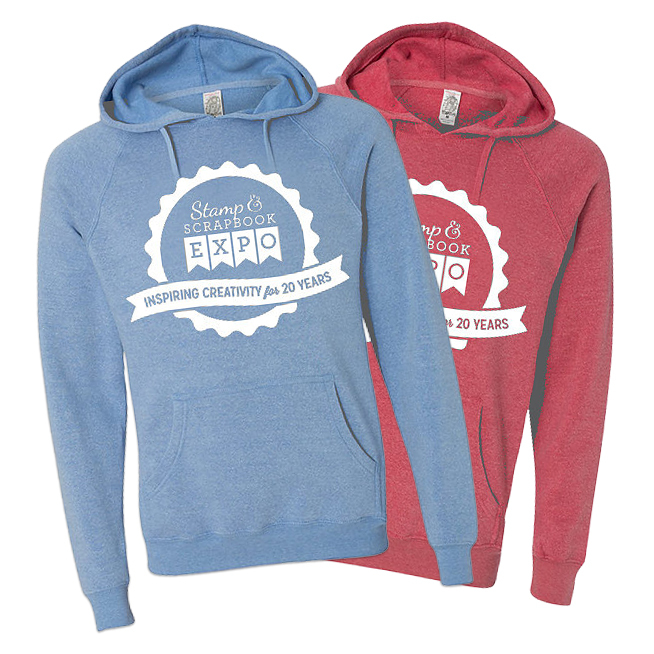 Stay cozy in this super soft 20th Anniversary sweatshirt. Fabric - 52/48 poly/cotton with tearaway tag. Unisex Sizing. 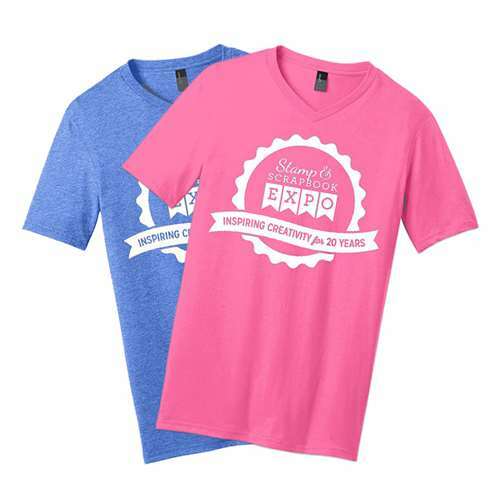 Relax in comfort with our Ultra Soft V-Neck 20th Anniversary T-Shirt! Fabric - 100% soft spun cotton with tearaway tag. Unisex Sizing. 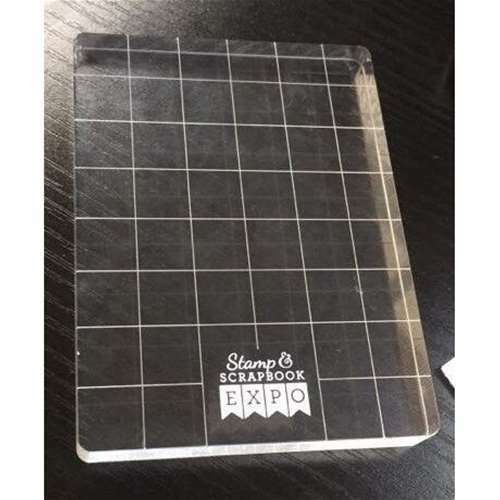 Stamping made easy with our 3" x 4" x 5" acrylic block. 1/2" grid lines to help align stamps and rounded corners with a grooved edge for comfort. 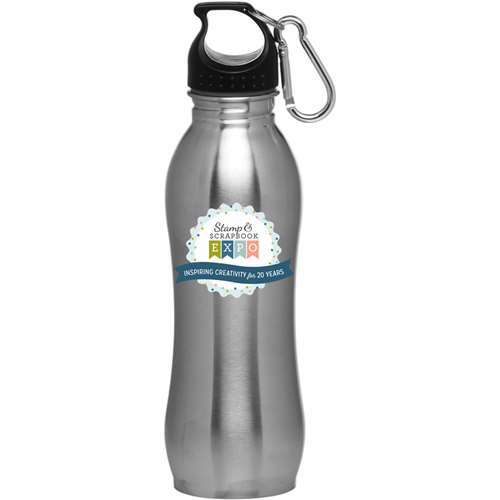 Quench your thirst with this 23oz stainless steel water bottle. 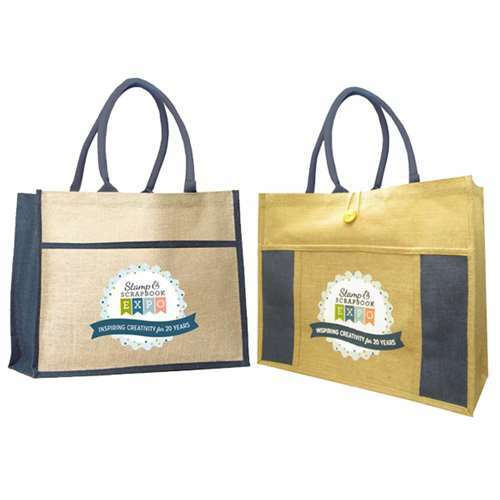 This trendy shopping bag is made of natural jute fiber. Fully laminated interior with front pocket, button closure and 23" cotton rope handles. Product dimension 17" x 14" x 5.5".